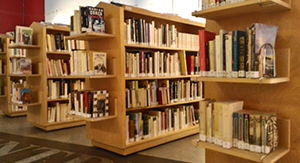 Le Centre culturel offers a collection of nearly 6,000 books in French, one of the largest collections in British Columbia. From literature to social sciences and reference works (dictionaries, atlas, etc. ), as well as works for young readers, you will discover the pleasure of reading at Le Centre. Are you looking for a specific work? Use our online database below or call us (604-736 9806). Every members of Le Centre can loan books.